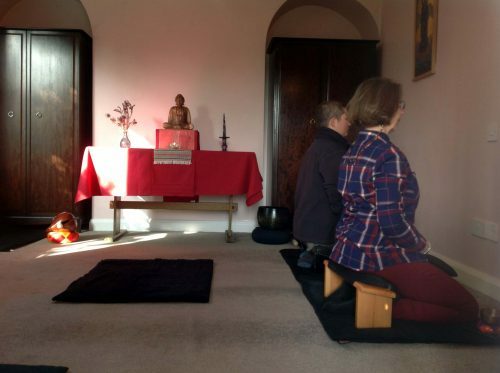 Our Nottingham Zen Serene Reflection Meditation (Zen/SRM) group evenings are the main way that the local Sangha (community) support one another in our Buddhist practice. The group offers a regular time for formal meditation and teaching, often with people who have been following the practice for many years. We meet each Monday, unless there is a Bank Holiday. 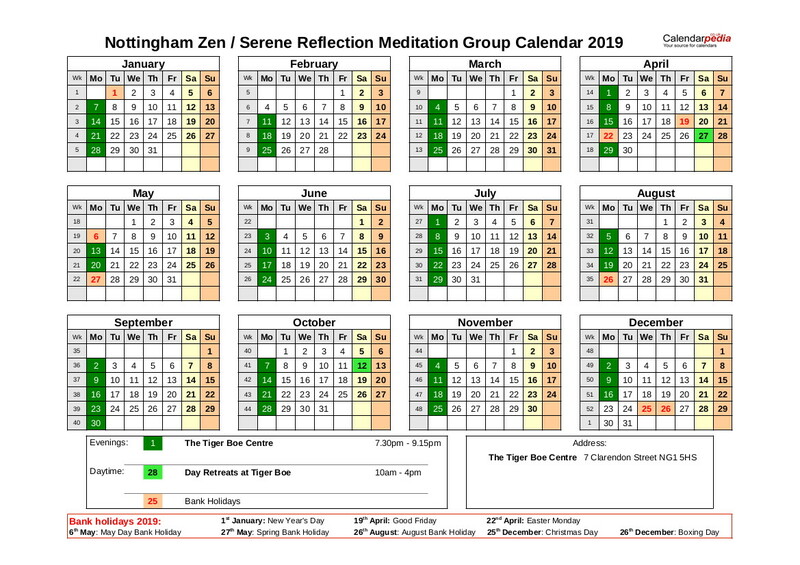 You can check our Calendar (see below) to make sure when and where the Nottingham Zen Serene Reflection Meditation (Zen/SRM) group is meeting. 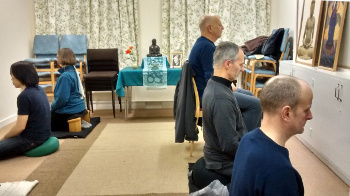 If you are new to Buddhist meditation we recommend arranging meditation instruction with one of the group contacts before coming along to a group evening. The evenings start at 7.30pm and run for about an hour and a half. Meetings usually comprise either: the recitation of a Zen Buddhist Scripture then two meditation periods, followed by refreshments and a discussion about Buddhist practice in our everyday lives, or one meditation period and a Dharma talk, also with refreshments. Once a month the Dharma talk is given by Rev. Aiden when he visits the Nottingham Zen Serene Reflection Meditation (Zen/SRM) group. Rev. Aiden is the resident monk at Turning Wheel Buddhist Temple in Leicester, and is a senior monk of the Order of Buddhist Contemplatives. He is a disciple of Rev. 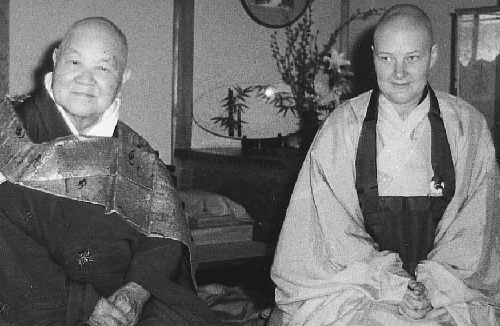 Master Daishin Morgan, the Abbot of Throssel Hole Buddhist Abbey, and is an authorised teacher of Zen Buddhism. We also listen to recorded Dharma talks given by other Buddhist Monks. Group evenings are held at the Tiger Boe Centre, 7 Clarendon Street, NG1 5HS. The dates of meetings are shown on the colour coded Calendar below. All of the Nottingham Zen/SRM evening meetings start at 7.30pm and end at 9.15pm. You can also download the calendar as a pdf here (47kB). There are also two day retreats scheduled in Nottingham in 2019, on Saturday 27th April and Saturday 12th October, from 10am to 4pm at Tiger Boe.